The official word came down last Wednesday that Deputy Inspector William P. Wynne of the NYPD 101st Precinct was going to be reassigned to a Brooklyn neighborhood. Within hours, more than a dozen local community leaders, elected officials and activists gathered at the Achiezer office for a warm and impromptu farewell reception. Representatives from nearly every community organization shared words of reflection and a plaque of appreciation was presented on behalf of our entire community. 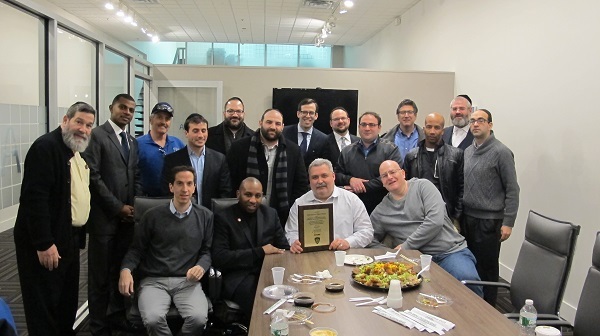 From both a communal achdus perspective as well as our responsibility to provide a Kiddush Hashem with all of our public servants, the event was one that will not soon be forgotten.